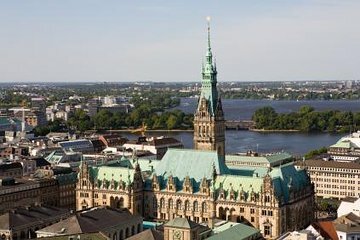 Discover top Hamburg attractions with ease on this 2.5-hour Hamburg shore excursion including Treppenviertel and the Elbe River. Travel with your guide along the Elbchaussee, widely considered Germany’s prettiest street. Admire luxurious 19th-century villas on route to the beautiful hillside district of Blankenese. Enjoy a walking tour through the famous Treppenviertel district. Then, board your ferry and cross the Elbe River to delve into the fertile orchards of Altes Land. On route back to port, admire fine city views from the Kohlbrandt Bridge and gaze over Hamburg's Harbor City.